Are you trendy or trendless? Cold weather has finally hit Texas (for this week at least), so you can definitely find me sporting my favorite winter-weather shoes: Ugg Boots. You may tell me that they’re too UGGly to function, but at the end of the day, whose feet are warmer? …That’s what I thought. Mine are. As I was pulling them on this brisk morning, I began to think about when Uggs became mainstream and a necessity to people other than those in harsh weather climates. I remember it like it was yesterday. Kate Hudson starred in Raising Helen in 2004 and was seen sporting snow boots. As soon as I saw her, I knew I had to have some. Of course, I didn’t get the real thing…I bought the department store brand, because that was all my 13 year old budget could afford. This fall I went cool hunting in Austin, Texas. I was given the task of spotting emerging trends before they become mainstream. I would take some paparazzi pics, but most of the time I would ask permission. People would often respond to my request in surprised tones, asking if they were indeed trendy. This is definitely proof that people are doing more of what they want and less of what magazines or celebrities tell them to do. This is partially technology’s fault. There’s so much information readily available, which causes trend run times to be shorter and shorter. People often overlook certain trends, because they know they’re not worth it. Not only will technology and American greed for speed affect trends of the future, but it will also affect jobs in the apparel industry. Fashion, color, and trend forecaststing play a large role in the market, and to watch them grow to be inessential would be heartbreaking. Americans wanted cheaper products, which led us to import more and make less. This is what caused the garment district in New York to go almost nonexistent and I pray this does not occur with these positions. If you haven’t noticed, monograms are one of the key trends right now. They can be seen on backpacks, hats, even gold necklaces. Remember in the early 2000’s when your initial was the “in” thing? Well, this has slowly come to replace it. 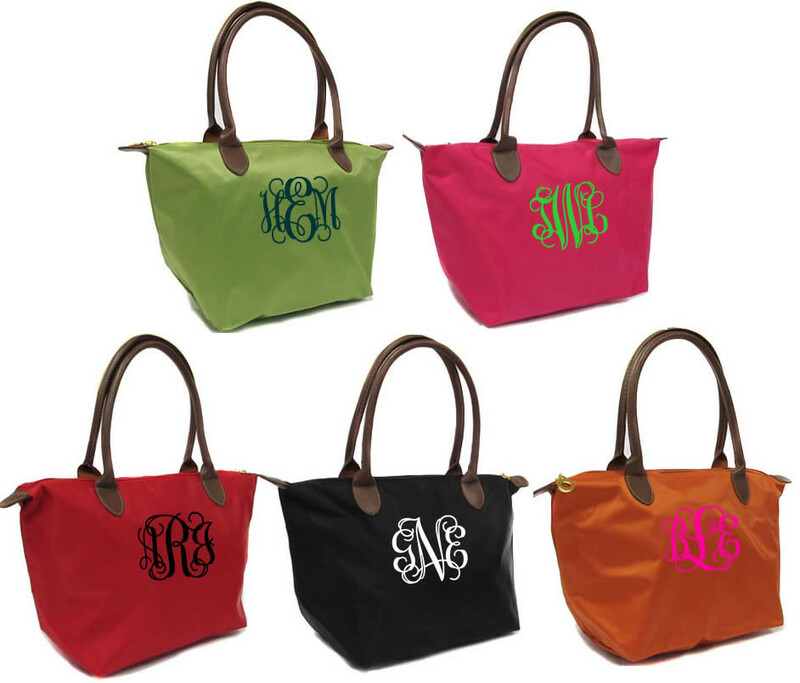 Honestly, I believe monogramming is classy and has always been popular among southern belles and sorority girls; it is just experiencing an explosion of popularity. You can even monogram your Longchamp! While mine isn’t real gold like this one, the fact that I only paid $4.75 makes up for it. If you don’t have your own monogramming or embroiderering (I wish I did) Marly Lilly is one of the best sites to get your initials on your clothing. They offer coozies, iPhone cases, sunhats, and even Nike shorts. You can even stitch them yourself if you are feeling crafty! These are one of the products I offer for Southern Elle. Monograms have also been commonly used at Weddings, but now it’s over the top. And guess what? I. Like. It. One of my favorite finds are monogrammed mason jar glasses. My mom said I should wait until I get married until I buy them. I said, well…it doesn’t look like that’s happening anytime soon. Whether you’re a new-comer to the trend, or rocking your mother’s vintage monogrammed Izod sweater, wear your name with pride. Confidence never goes out of style.